Our UltraLite model is the lightest rimfire rifle configuration we offer. 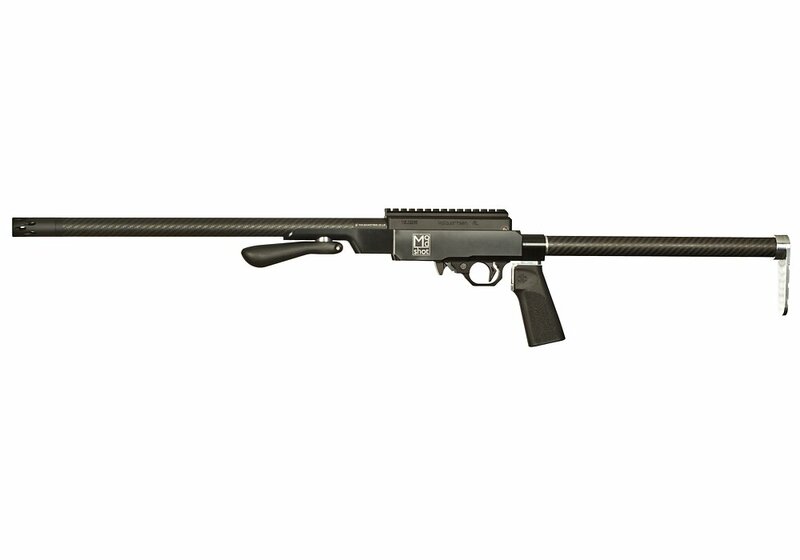 It features the new UltraLite barrel mounted into our lightweight receiver. The receiver is the same as our aftermarket receiver. This allows several mounting options for an optic. It comes standard with a Picatinny rail. There is also an option of having the receiver drilled & tapped to accept a C-More optic. This allows the shooter to mount the C-More as low as possible. This has proven to be very advantageous with rimfire steel shooters. The UltraLite comes standard with a removable Aluminum Forward Blow Comp using 1/2 x 28 threads. Designed with rimfire steel plate shooting in mind, this rifle is extremely light and well balanced making it ideal when swinging from one plate to the next!